While Arabic speakers from the dominant Omani culture have come to live in the province, especially the larger cities and towns, Dhofar has been the traditional homeland of many tribespeople speaking a variety of South Arabian Semitic languages. One of the largest - spoken by the Qara (Ehkelô), Shahra, Barahama, Bait Ash-Shaik and Bathira mountain tribes - is called Shehri - popularly referred to as "SHAHRI people" or "mountain talk". It is closely related to Mehri in Yemen. 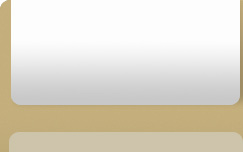 Other indigenous groups speaking smaller languages such as Bathari live in the coastal towns of Shuwaymiya and Sharbithat. The Harasis, speaking Harsusi, number 1-2,000 and live in Jiddat al-Harasis. Al-Mahara in Yemen and Dhofar in Oman are the only parts of south Arabia directly exposed to the South East monsoon from mid August to late September or early October; this is known as the khareef. As a result, it has a lush green climate during the monsoon season and for sometime after until the vegetation loses its moisture. Dhofar's temporarily wet climate contrasts sharply with the neighboring barren Empty Quarter Desert. The Salalah plain was once a well cultivated area with a sophisticated irrigation system. During World War I it was fertile enough to produce food and grain to supply a large proportion of the requirement of the British Army fighting in Mesopotamia. A counter-insurgency campaign was fought here by the Sultan of Oman's Armed Forces (SAF) 1965-1975 against guerrilla fighters of the Marxist National Democratic Front for the Liberation of Oman and the Persian Gulf (NDFLOAG), supported by Communist South Yemen after that territory's independence. The rebel group was renamed the Popular Front for the Liberation of Oman (PFLO) in 1974. It aimed to depose the Sultan. The Sultan's forces, assisted by the United Kingdom, Iran, Jordan and India, prevailed, and once the campaign was declared over in December 1975, the active remainder of PFLO forces surrendered. In Mormon culture, Dhofar is the most popular traditional location of the Book of Mormon land of Bountiful. This association is not an official LDS Church doctrine, however. Dhofar is a tribal community, home to many ancient tribes. The Arab tribes include Kathiri tribes such as Al Shanfari, Al-Rawas, Al-Marhoon, Al-Fadhil, Al-Hadhri, Al-Hubais, Al-Rashdi other Arab tribes such as Al-Hashmeis, Al Yafei, Al-Masheekhy, and more. The Qara/ Jebbali tribes include Al-Mashani (better known for Mazoon Al-Mashani, mother of the Sultan of Oman), Bait Said, Bait Tabouk, Bait Kashoob, Al-Amri, AL-SHARI and more. It has been recently discovered that the Dhofar region is rich in meteorites. 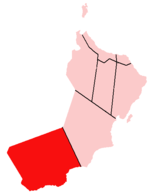 Dhofar governorate consists of ten wilayat: Salalah, Taqa, Mirbat, Thumrait, Sadah, Rakhyut, Dhalkut, Muqshin, Al Mazyoona, and Shlaim and the Hallaniyat Islands.